Nice hike up to the Solomon Lake last night. The trail/road is in good shape. 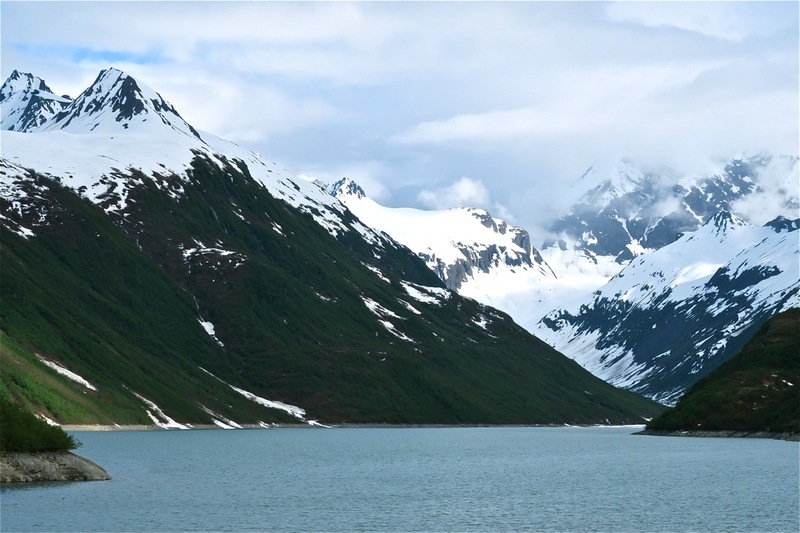 Looks like a great place to a take a pack-raft and paddle south into Chugach National Forest. At the end of the lake, some remains of a copper mining operation might still be found. At one point a tram ran from the present location of the hatchery at tideland to the mine. The damming of the lake flooded the tram towers. I recall skiing across the lake in the early 80s and finding a tower and some ruins. When I skied the route again a few years ago, no remains were visible. The old power station was removed when the hatchery was built and I was lucky enough to help decommission the old hydro plant. The boiler now graces a large living room, converted to an open fire-place in a home in Mineral Creek. When it was in full operation, it was the longest tram in North America at nearly 8 miles in length and hydro-powered.